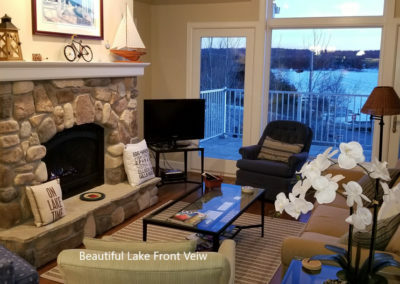 If you’re looking for beautiful sunsets & lake views, you’ll find them in this top-floor, elevator-access, condo which comfortably sleeps 6 guests with three bedrooms and 2 full baths. 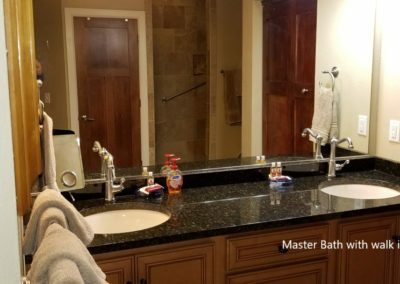 The master bedroom has a king-size bed with a lovely lake view and a private bathroom and a large walk-in shower. 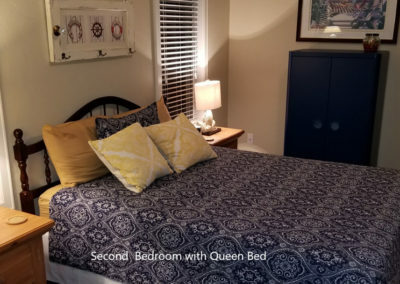 The other two bedrooms have comfy, queen beds and are next to the second full bath. 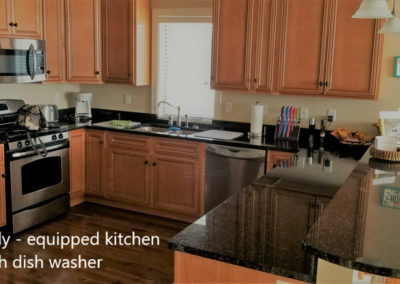 You’ll find a fully-equipped kitchen with granite countertops and stainless steel appliances including a dishwasher and a laundry room with full-sized washer and dryer. 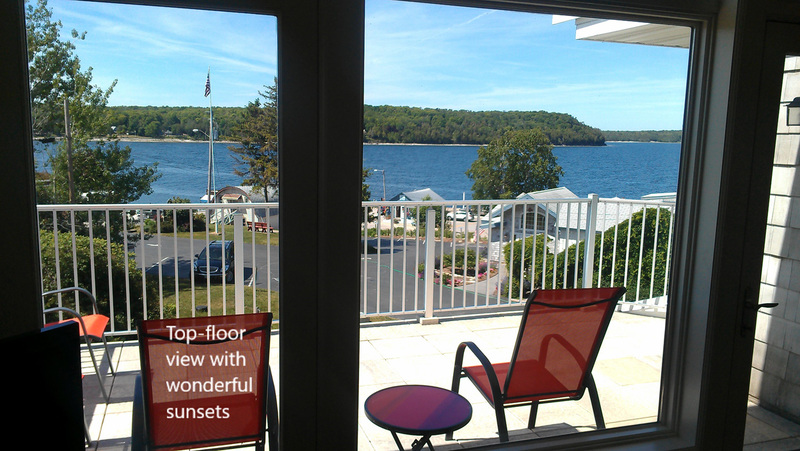 The lovely dining/living room combination has open views of Hedge Hog Bay and gorgeous Door County sunsets. 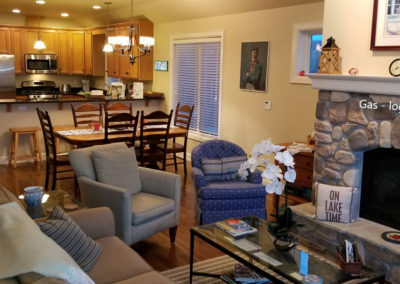 Whether you’re staying in the winter, spring, summer, or fall, you’ll enjoy the seasonal changes, and all Door County has to offer. 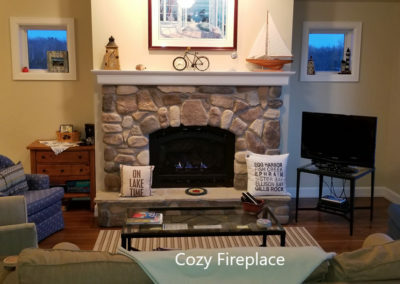 For your seasonal comfort, the condo has heat, ac, ceiling fans in every room, and a cozy gas-log fireplace for chilly evenings. 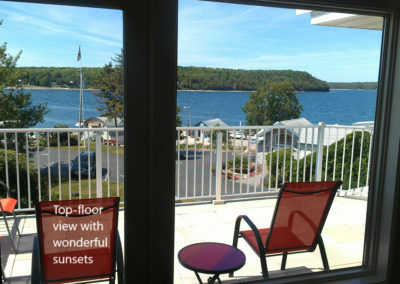 The owners of this condo frequently stay at the property and ensure that all is well for your comfort and enjoyment. 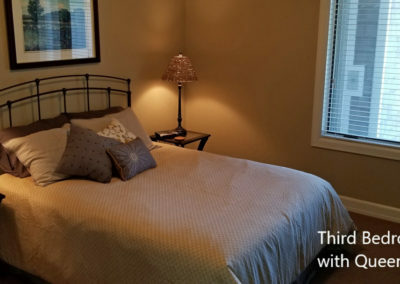 Pets are not allowed in this condominium.